Welcome to the house of Boulay — these are some of the greatest white wines in the world. Dry white wines would not be the first choice among wine consumers in the U.S. We have a sweet tooth, so Moscato and Riesling fit the bill. We like things big like our SUVs, so a jammy Cabernet Sauvignon or Zinfandel-based red blend satisfies the palate there. We can’t get enough of things bubbly or fizzy like our coca-cola or energy drinks, so Prosecco is trendy. Also, you have to consider this: our views on alcohol consumption are still shaped by this country’s Puritanical origins, so whereas the rest of the world views wine as a natural companion to any meal, we still have a ways to go to get past the lure of alcohol as forbidden fruit, only to be over-consumed and abused in frats and sorority houses. 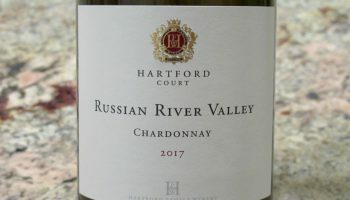 Dry white wines, in particular, to fully realize their potential for enjoyment, must be viewed as inseparable from eating food and the occasion to which that food is attached. A great, dry white wine has the ability to be a humble yet essential companion to a commonplace, everyday meal with family or friends you love—and it has the elegance and sophistication to elevate a special occasion into an event of a higher class. The Sauvignon Blanc grape makes for the ultimate dry white wine, and Sauvignon Blancs from the region of Sancerre in the Loire Valley of France are the pinnacle expression of the grape. One might argue that the great Blancs from the Graves region of Bordeaux are supreme, but they are often mixed with Semillon, which lends their wines a certain quality that differs entirely from the 100% Sauvignon Blancs of Sancerre. For the purist, Sancerre is the place to be. And, for the ultimate expression of Sancerre, the purist turns to the house of Gérard Boulay. My goodness, what beautiful wines are in the bottle. A master winemaker, Boulay is fortunate to have one of the greatest palettes from which to paint his masterpieces—the vineyards he tenders in the village of Chavignol. It’s impossible to avoid using the word terroir in discussing these Sauvignon Blancs because terroir is so responsible for what makes these wines so distinctive. In essence, “terroir” means a sense of place. Soil; sediment or rock or minerals in the soil; neighboring flora, bodies of water or other natural phenomena; microclimates within the overall climate of the region; latitude, longitude and elevation of the land—anything and everything that contributes to the particular character of the magical thing that vines produce: the grape. The most distinctive aspect of Boulay’s Sancerre is a natural ebullience he manages to coax out of Chavignol’s one-of-a-kind fruit to accompany the crystalline, dry texture and minerality of the wines. Boulay’s winemaking processes are precise but intuitive, painstaking but non-intrusive. He has famously stated that he wants “the wine to live” and views his role as merely a surveyor while nature itself makes the wine. Such respect for the natural process and humility from the winemaker produces wine that is exquisitely gentle on the palate while intensely vibrant and structured, as well as deeply complex. The four wines reviewed below offer a wide representation of Boulay’s transcendently beautiful artistry. It must be noted that these are enormously elegant wines for a very reasonable price. And food pairing options are endless: crisp summer salads, artichoke or brussel sprout starters with aioli, goat or sheep cheeses with salumi, chicken or fish sandwiches, white fish roasted or sauteed, shellfish pastas with garlic & olive oil, grilled kabobs—and no reason to avoid red meat or fishes either; Sancerre invites you to be adventurous with your palate. These are wines to discover and treasure for a lifetime. Instantly likeable, within their deep complexity lies almost unfathomable delights to experience with each new bottle, and with the natural progress of time. These wines were tasted at Woodland Hills Wine Co., one of the main suppliers of Boulay wines to the Los Angeles region, as well as private tasting.